Below is a selection of resources for searching for employment opportunities as a foreigner in India. Times Jobs: I’m not a fan of the overly busy interface. With that said, the job postings are legit. Placement India: You will see after going through these search engines that they tend to not be all that unique in terms of their interface. Placement India belongs in the not-so-unique category. It does have legit job postings though. Career Builder: Career Builder is old to the internet job arena. Shine: Shine is yet another Indian job search engine. Nothing too unique about it, but it is worth giving a try after you’ve exhausted the options above. Monster India: The Monster job search brand has been around since pretty much the dawn of the internet era. Head Honchos: Head Honchos specializes in Senior Management positions. Career Jet: I’m sure you’ve heard of Career Jet. They have job search options for India. Indeed: The Indian version of the big U.S. job search site Indeed.com. Naukri: I mentioned Naukri over on my Qatar jobs page. The Indian site is chock full of job postings. Teaching English might be an option (if you are a native English speaker that is). All of the sites below are pretty similar and have a massive amount of teaching English job options. Browse through each of the sites for any English job opportunities in India. Also, be sure to check out this cool table from the International TEFL academy that shows how much money teachers can expect to make in various countries around the world. Transitions Abroad: Transitions Abroad has a really comprehensive list for anyone considering becoming an expatriate in India. Heather Gupta: Heather has spent a lot of her life working in Mumbai. Read her 10 tips for foreigners working in India. eFinancialCareers: My favorite search engine for finance jobs on the web. I used them during my Wall Street days. They are limited for India though. There you have it. The best places to find jobs in India as a foreigner. 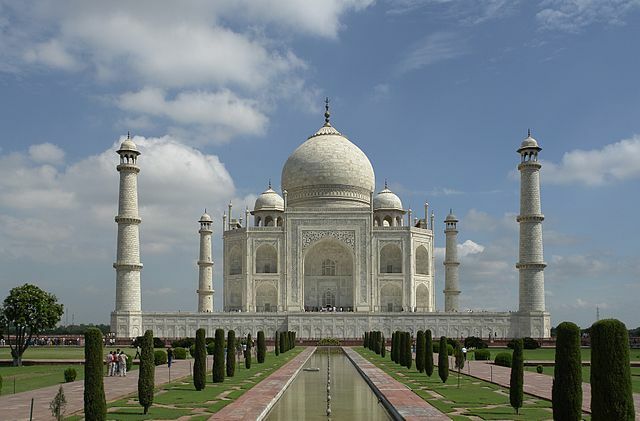 For information on visas for India, be sure to check out my India visa page. If you are looking to spice up your dating life, check out my post on the best online dating sites in India.